2018 has been a wonderful year for the ManageEngine ADSolutions team, filled with many exciting, new product features. As we take a look back at some of these features, we’d like to give a shout-out to all our users. We eagerly look forward to strengthening this relationship we’ve built, and promise to further improve our solutions to make them invaluable assets to your business. It now integrates with HRMS and ITSM applications like Workday, Zoho People, Zendesk, and many more. It became available as an application on Amazon Web Services and the Microsoft Azure marketplace. It helps organizations become GDPR compliant and it became a GDPR-compliant application itself. It got a dashboard makeover with an intuitive, flat UI. It now supports custom widgets for easy access to critical management and reporting functionalities. 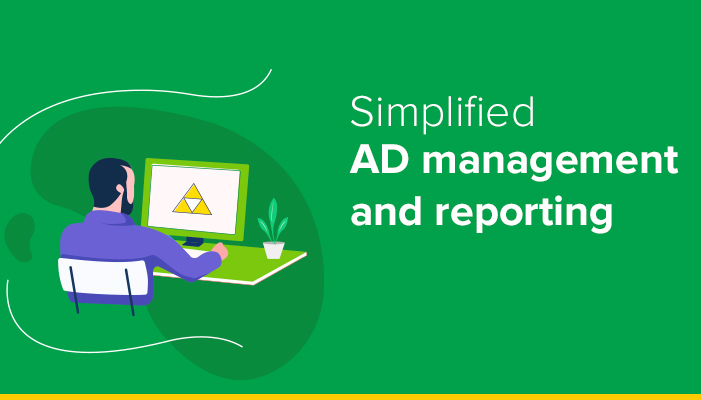 If you’re new to ADManager Plus, you can try it out by downloading it. If you’re already an ADManager Plus customer and missed out on any of these capabilities, don’t worry. Click the button below to upgrade to the latest build or to renew your license. In the next part of this blog series, we’ll discuss the capabilities added to our Office 365 reporting and auditing solution.